As with most long-time Ducati fan boys, I wasn’t really into the Diavel when Ducati first added the model to their lineup. And honestly I’m still not into it, or any dragster style of bike. I’m generally not super into street fighters either. 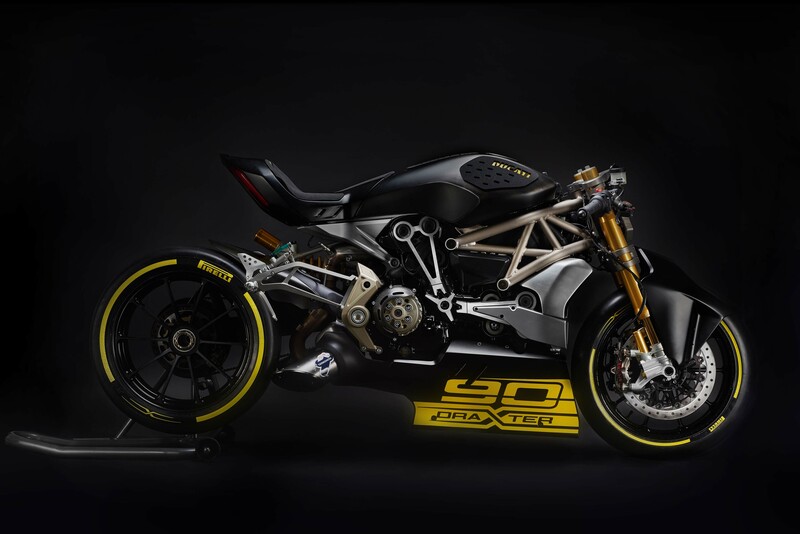 Not that the DraXter is trying to be a street fighter, I just mean that they took something beefy and made it more bare-bones (similar to the way that a fighter in most cases used to be a full fairing sport bike). But when I saw these images, I changed my tune a bit. For whatever reason, the styling on this Diavel based concept really does it for me. At first I assumed that the DraXter was just another hyperbolic rendering by a moto aficionado art student of a bike that did not exist outside of the pixels on a monitor. 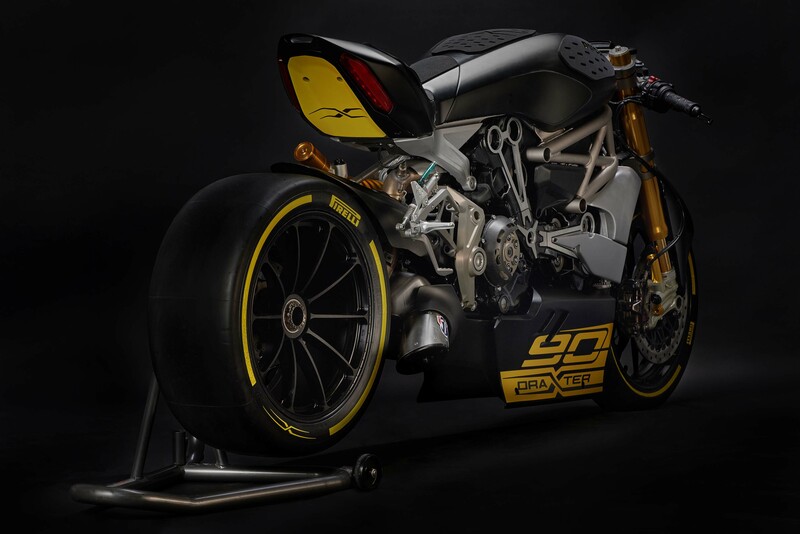 As it turns out, Ducati actually built the concept and showed it at this year’s Motor Bike Expo in Verona. More details over here. Posted in News and tagged ducati, moto, motorcycles.